There may be a simpler explanation behind the increased blockage of Google search results in mainland China today than a deliberate government crackdown. It seems that the Great Firewall of China which automatically filters out a long list of objectionable material on the Web from ever entering China is mistaking Google for Radio Free Asia, one of the sites blocked by China. Lots of users in China have been unable to search on Google.com.hk today. This blockage seems to have been triggered by a change on Google’s part. In the last 24 hours “gs_rfai” started appearing in the URLs of Google searches globally as part of a search parameter, a string of characters that sends information about the query to Google so we can return the best result. Because this parameter contained the letters rfa the great firewall was associating these searches with Radio Free Asia, a service that has been inaccessible in China for a long time–hence the blockage. We are currently looking at how to resolve this issue. If this theory is correct, any URL that includes the letters “rfa” in a row could also be blocked. It is not clear why the Great Firewall cannot figure out the difference between the rfa.org URL and a string of letters that happens to include the same letters (without the .org). Another theory: China knows exactly what it is doing and it is just messing with Google. Having looked into this issue in more detail, it’s clear we actually added this parameter a week ago. 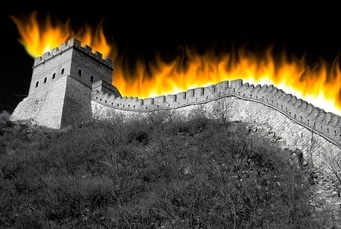 So whatever happened today to block Google.com.hk must have been as a result of the change in the great firewall. However, interestingly our search traffic in China is now back to normal—even though we have not made any changes at our end. We will continue to monitor what is going on, but for the time being this issue seems to be resolved. Yup, China is just messing with them.